Sunil Chhetri sets his eyes on Asia after winning ISL. The Blues have returned to Asian competition after a season gap. 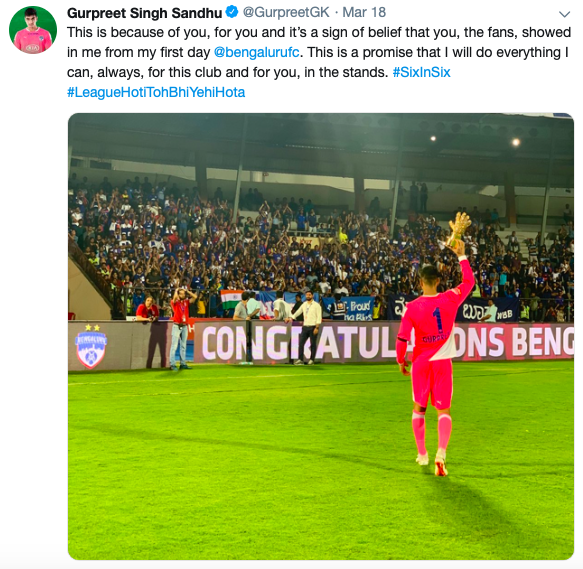 On the night of March 17th, Bengaluru FC lifted the Indian Super League trophy after narrowly missing out on the previous season. The Blues defeated FC Goa by 1-0 courtesy of the late extra time header by local lad Rahul Bheke. The players, coaches, owners and fans were buoyed by the team's successful quest of the title. Indeed it seems clearly visible from the tweet how eager was the Indian legendary international to return to the continental stage. Bengaluru FC had nearly had the hands on the AFC Cup trophy too. Back in 2016, the side lost 1-0 in the final to Air Force Club Iraq, when the team was in the charge of Albert Roca. 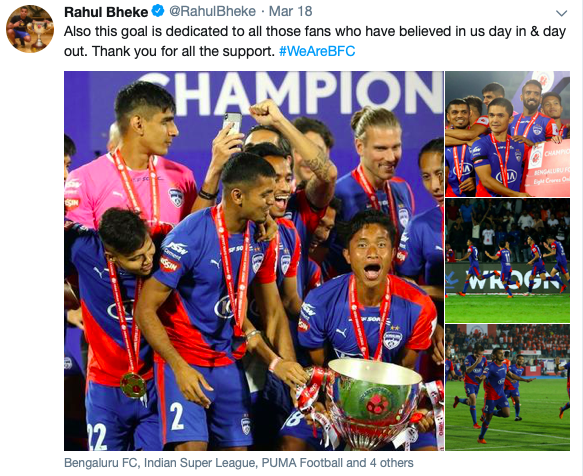 The team now seems all set to aim for the continental title too for the next season, with the same winning mentality that has led them to win the six trophies in six years, which includes the I-league, the Super Cup and the Indian Super League. 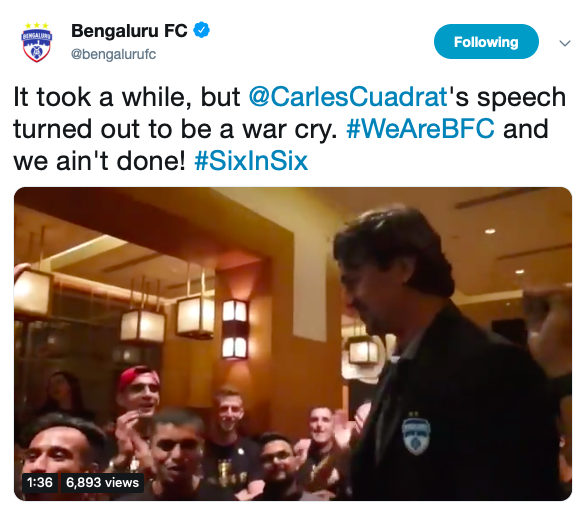 This definitely comes as a positive sign for the Indian football, with Bengaluru FC's mentality now setting an example for all other clubs to learn and follow.